Honda today built its 25 millionth automobile in the United States, a 2018 Accord produced at the Marysville Auto Plant in Ohio. The Marysville plant is Honda’s first U.S. auto plant and the first Japanese plant to produce cars in the U.S. It began production in 1982, and is one of five Honda auto plants now operating in the United States. 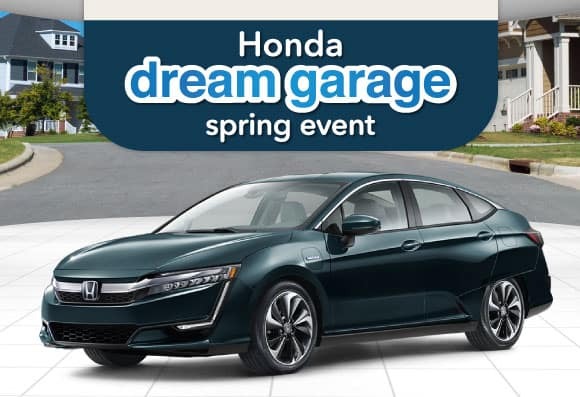 Dream Garage Spring Event Offer! *2018 Clarity CVT Hybrid Plug-In: MSRP $34,290 – ZC5F1JGW. 36 month closed end lease. $3499 trade or cash down. First payment, $595 acquisition fee, taxes and DMV fees due at signing.12,000 miles/year. $0.15 overage. To qualified buyers through AHFC. Offer valid through 4/2/18. With many impressive technology advances being made continually to our new Hondas, you may have features you are unaware of or questions about how to perform certain functions. It can be very helpful to reference your Owner’s Manual to refresh your knowledge on items reviewed with your sales person at the time of purchase, as well as to learn more about the many additional and exciting features that may be built into your model. 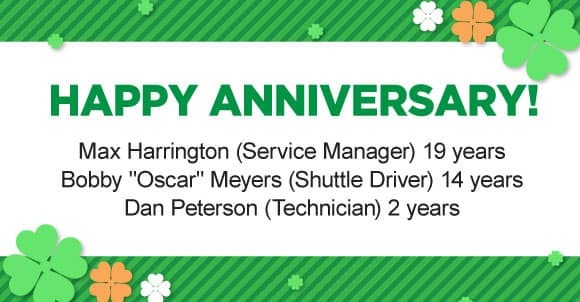 If you have any questions on the features in your vehicle, feel free to call our Service Department at 585-299-2695, and we will gladly help! Rochester, NY, February 2018 – Ralph Honda has earned the Honda Environmental Leadership Award and has been recognized by American Honda Motor Co. Inc., as a leader in the company’s effort to reduce the environmental impact of Honda dealerships in communities around the nation. Ralph Honda earned the award for achieving specific environmental targets based on a rigorous points system that includes reducing total energy use at the dealership by at least 10 percent. The GEFS is an important organization that helps support the hunger needs in our community. Here is some information we received about how they operate and what their needs are at this time, which we wanted to pass along to help spread the word. GEFS in an all-volunteer self-sustaining charitable organization, relying on donations from individuals, churches, community organizations, and businesses to provide the food and household products we distribute to the community. While we greatly appreciate receiving food and household products, cash donations are also needed. Food drives provide a wide array of non-perishable food, but we must purchase fresh food (bread, milk, eggs, meat, and margarine) for our families. We may have to purchase items to fill gaps in our inventory. Having cash on hand allows us to stock up on items when they are on sale. We can also obtain food at a lower cost because of our partnership with Foodlink. For example, chunky soup costs $1.59 for a one pound can at the grocery store. We can purchase it from Foodlink for $.49 a pound. If a person donates 4 cans of soup at $1.59, the donor’s cost is $6.36. If $6.36 in cash was donated to the Food Shelf, we could purchase 12 cans of soup – making the donation go 3 times further. Cash is also needed for operational costs. Over 94% of every dollar donated goes directly to provide food and supplies for our neighbors in need. While we keep overhead costs at an absolute minimum, we can’t eliminate them. We must pay for liability insurance, bookkeeping software, federal tax form preparation (even though we pay no tax), our hotline, and office supplies. The next time your neighbors ask what the Food Shelf needs, suggest they send a check in the amount they would spend at the grocery store. It will be used wisely. Best Answer: Easter is called a moveable feast because the date of Easter changes every year. Easter Sunday can fall on any date from 22 March to 25 April. The reason for this variation in the date of Easter is based on the lunar calendar (moon) rather than our more well-known solar one. April Fools’ Day (sometimes called All Fools’ Day) is an annual celebration in some European and Western countries commemorated on April 1 by playing practical jokes and spreading hoaxes. The jokes and their victims are called April fools. People playing April Fool jokes expose their prank by shouting “April fool”. Some newspapers, magazines and other published media report fake stories, which are usually explained the next day or below the news section in small letters. Although popular since the 19th century, the day is not a public holiday in any country. 1. Heat oven to 350°F. Spray 13×9-inch (3-quart) glass baking dish with cooking spray. Microwave broccoli 1 to 2 minutes or just until thawed. Separate dough into 5 biscuits; cut each into 8 pieces. Place evenly in dish. 2. In large bowl, beat eggs and milk with wire whisk until blended. Stir in ham, onions, broccoli and 1 cup of the cheese. Pour over biscuits in dish. 3. Bake 20 minutes. Cover loosely with foil sprayed with cooking spray; bake 35 to 40 minutes longer or until center is set. Top with remaining cheese during last 5 minutes of bake time. Garnish with additional chopped green onions, if desired.